The independent professonal body for Chartered Surveyors working and practising in Ireland. The SCSI Property & Facility Manager’s Annual Lunch was held in the DoubleTree by Hilton last Friday. In excess of 260 attended the first Property & Facility Manager’s Annual Lunch of the Property & Facility Management Professional Group following the transition of IPFMA members and operations to the Society of Chartered Surveyors in July 2015. 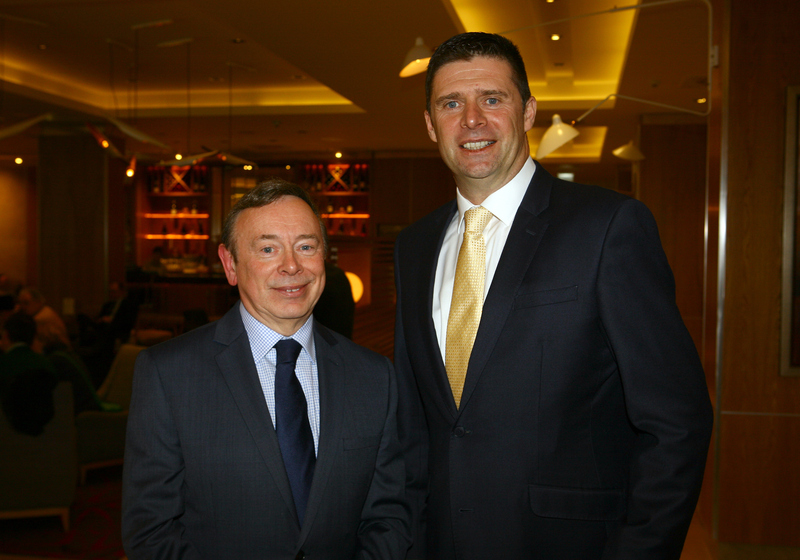 Guests were addressed by the chairman of the Property & Facilities Management Professional Group Vincent Hickey as well as by the Vice President of the Society of Chartered Surveyors Ireland, Andrew Nugent. Niall Quinn, the well-known and respected sports personality was the guest speaker at this popular social event. Niall entertained the guests with tales of the characters he met during his football career and charismatically spoke about his passion for the green jersey. He acknowledged the contribution that many sports people and teams make to our nation’s love of country, and the pride he held as an Irish player. It was obvious that he enjoyed sharing the afternoon with the profession. We were delighted to acknowledge Burlington Engineering as sponsors for this event. March 10, 2015 in Uncategorized. Facilities Management Awards 2016 – The winners are out!